In the last five years, fintech has emerged from the shadows to become mainstream. You’ve no doubt noticed the sleek mini-devices taking payments at your local cafe, replacing the clunky old-school EFTPOS systems of the past. But beyond what we see physically changing in front of us, there are many Australian-born fintech solutions that are gaining real followings; from online business accounting platforms to personal loans platforms offering quick processing times and superior customer service. 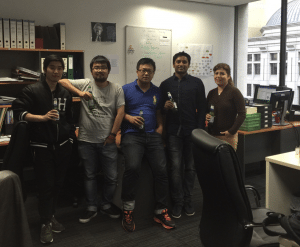 Every solution described above comes from an innovative fintech Melbourne companies. While fintech in Sydney is thriving and does make up a larger portion of fintech in Australia, Melbourne is hot on its heels, with a growing industry and no shortage of cutting-edge and original concepts. Financial services are actually the largest sector of Victoria’s economy. As a result, the Victorian Government has a vested interest in nurturing the sector and is working to increase both headcount and the already $40 billion+ this industry contributes to the State’s economy. As part of this investment, the Victorian Government in December 2017 announced a partnership with fintech hub operators – Stone & Chalk and YBF Ventures – to help develop Melbourne’s flourishing fintech sector. The partnership hopes to create jobs, businesses, technologies and exports from Melbourne’s fintech industry and blossoming fintech startups. What would a booming sector do without a quality meetup to bring all of its players together? Melbourne Fintech Startups Meetup is 3,000+ members strong, coming together to share experiences, network and support their fintech peers. Melbourne fintech even has its very own website in FinTech Melbourne, which is dedicated to helping the local fintech community grow. They cover fintech news and events and help to connect startups to investors, networks and pitching opportunities. Network, network, network: this is the best way to get your foot in the door of the financial services industry in Melbourne. 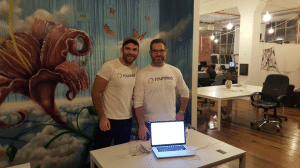 One of the biggest Melbourne fintech meetups is Melbourne FinTech Startups Meetup. Boasting over 3000 members, they hold a few events a year to encourage networking and opportunities to hear from Australian fintech professionals who are nailing it. 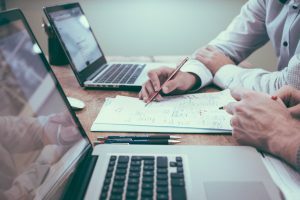 Making sure you’re constantly keeping up with the latest skills needed for fintech is also a great way to stay ahead of the game. Think about making yourself a jack-of-all-trades, acquiring skills in marketing, sales, and promotion, as well as finance, to set yourself apart from the other applicants with the same qualification or experience as you. It also shows that you’re willing to put in the long yards for the success of the company. And don’t turn your nose up at the traditional institutions or big companies. They might not be the first pick when thinking about fintech jobs, but many are funding fintech opportunities under their own roofs. Accenture is conducting research into the future of banking and the role fintech plays in that, and EY have fintech specialists to help them stay ahead of the technology game. Jobs in fintech vary widely in salary depending on experience and location. Here are just a few of the highest paying jobs in financial technology according to Payscale. Melbourne is home to some of the most significant international fintech players, as well as a wealth of homegrown success stories. We have looked across Melbourne’s fintech startups, established organisations, and international players to bring you, in no particular order, the top 25 to watch. And for current or future fintech professionals, 12 of these leaders are currently hiring. Afterpay Touch is the merging of Afterpay and Touchcorp, who joined forces in 2017 before successfully floating on the stock market. The result of this merger was a two-pronged offering; Afterpay, an uncomplicated payment process that allows shoppers to take products home today, and then pay them off fortnightly in four equal instalments, and Touch, which provides a comprehensive suite of services covering payments, transaction infrastructure and integrity. Today, led by founder Nick Molnar, Afterpay represents more than 25 percent of all online domestic apparel sales and more than eight percent of all physical retail sales, with the service being adopted by more and bigger brands in-store, and paving the way for the success of other fintech companies in Australia. MoneyPlace is a P2P lending platform which connects investors with approved borrowers. MoneyPlace users can apply online for a credit estimate, after which they will be matched with suitable investors. Money is then electronically transferred to their account. 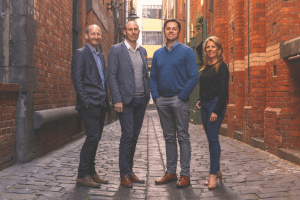 Launched in 2014 by ex-NAB employee Stuart Stoyan, MoneyPlace is a customer-centric platform that aims to compete against banks that they feel have forgotten to look after their customers with quality service. In early 2018 Liberty acquired MoneyPlace in a bid to edge into the personal loan market. Finch has transformed the finance experience for consumers and created a social spending app for the millennial market. Their payments app enables friends to easily pay their friends, thus maintaining friendships and financial health. 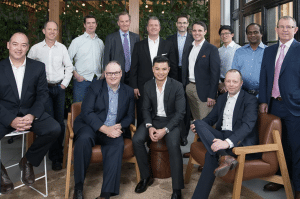 Ideated in 2016, Finch got their foothold when securing one of only eight spots with fintech incubator Envestnet Yodlee – the best fintech incubator in Silicon Valley. The iOS and Android app was launched in July 2017 and garnered a great response. Finch raised $2.25 million seed capital in October 2018 and won the award for the Best Digital Wallet at the 2018 Finnies. 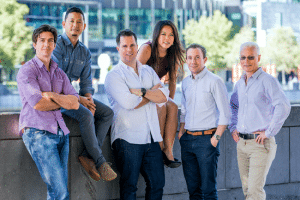 We not only think they’re an Aussie fintech startup to watch but also a critical addition to the startups Melbourne fintech scene. SelfWealth is a digital platform for self-directed investors. Their solution allows investors to compare their portfolios with industry peers and other professionals through a monthly subscription. Members enjoy insights on how other people in similar situations are investing their money – they can explore various strategies, and make improved decisions about how to invest based on the results. Founded in 2011 by Andrew Ward, SelfWealth (ASX: SWF) successfully floated on the ASX in 2017 and has gone from strength to strength. Earlier this year they were announced as the winner of Cheapest Online Broker at Money Magazine’s Best of the Best awards. 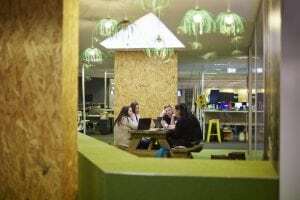 YBF, formerly known as the York Butter Factory, is a coworking and incubator space supporting the startups Melbourne ecosystem. They host a variety of regular and one-off events designed to support the startups Melbourne scene. 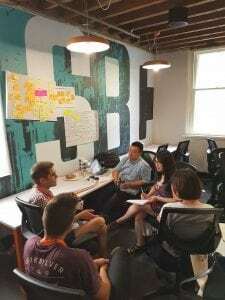 Events include startup weekends and WordPress, AWS and MongoDB meetups. Co-founded by the partners of Adventure Capital Venture Management in 2011, YBF hosts more than 50 Australian startups. 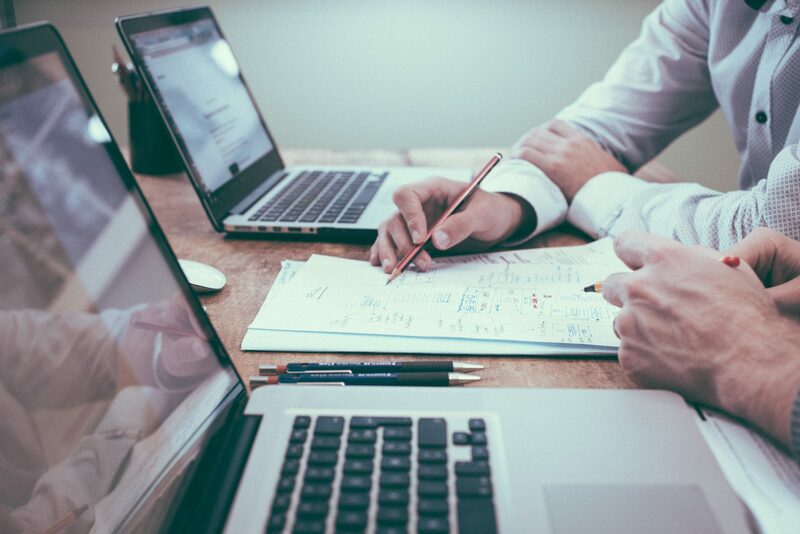 YBF works with early-stage fintech businesses to help them connect, learn and collaborate with corporate and industry partners; including the likes of ANZ Bank, Ernst & Young, IBM, Amazon Web Services, Microsoft, and Zendesk. They also partner with Startupbootcamp to offer a fintech accelerator program. Timelio has transformed how businesses gain access to finance. Their unique marketplace allows small to medium enterprises to expand by getting paid through a digital network of investors that fund their invoices. Businesses can improve cash flow by having their customer invoices paid in under 24 hours. Timelio was formed to solve the problems SMEs face when trying to grow their business without access to adequate finance. Since their launch in 2014, Timelio has funded more than $250 million worth of invoices and are working to continue growing their offering. 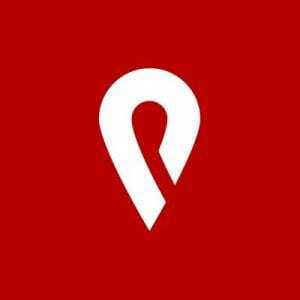 Pin Payments has designed an all-inclusive multi-currency payment system to bring the banking sector’s traditional services into the modern world. Their offering is a developer API for allowing credit card payments to happen online in a variety of currencies. By integrating with vital e-commerce and business platforms, Pin Payments have enabled SMEs to begin accepting online payments that are fast and easy, regardless of whether they are operating an online store, invoicing clients, or processing credit or debit card sales manually. Founded in 2011, Pin Payments creates simple software to help customers accept card payments with just one account, and offer multiple ways to get paid. Clover.com.au was developed to help Australians better understand their own finances, allowing them to feel more empowered. Their solution is an automated investment advice platform bringing online personal financial management to those who need it. Whether you are time poor, unable to find smart advice, or simply unsure where to look for it, Clover.com.au is here to help. 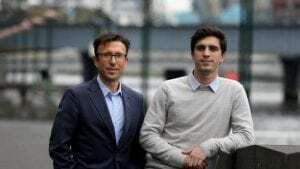 Launched in 2014 by Harry Chemay and Darcy Naunton, and with Sahil Kaura as CEO, Clover.com.au has seen great success, particularly with the millennial demographic. 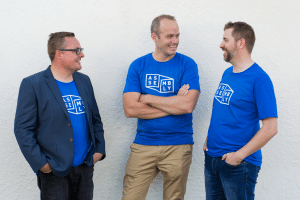 So far they have successfully raised $2 million from investors to continue expanding and offering automated investing to the masses. CXi is an investor registry and fund administration software. They make managing investor money easier, faster and more secure by automating the back-end operations of fund managers and fund administrators. By simplifying this process, CXi can deliver comprehensive, intelligent solutions that are available to all users in the market. CXi-Registry is their award-winning cornerstone product. It is a member registry platform that was created to deliver the best admin, management, investor and advisor experience possible, without accepting compromise when it comes to security, compliance or system performance. To date CXi have successfully secured $2.25 million in a series A raise. FirstStep analyses users’ discretionary spending and works to automatically help users put away small amounts into a diversified investment account. Their solution allows anyone to start investing straight away with no minimum and features an effortless setup process, and a seamless, automated way to capture small amounts from users around their daily spending habits. FirstStep accounts invest in diversified portfolios of low-cost ETFs. They offer users the option to invest in businesses that interest them, with themed portfolios such as technology, ethical, Asian and health available. Launched by a group of young entrepreneurs in 2015, FirstStep has leveraged technology to allow everyday people to make affordable investments that align with their interests, with just the push of a smartphone button. Pepperstone is a digital retail foreign exchange broker specialising in foreign exchange trading, and offering leading-edge technology to traders all across the world. Launched in 2010, Pepperstone has focused on changing the way in which people trade on the foreign exchange market. They have succeeded in offering fair, competitive and transparent pricing across all of the primary currencies by providing traders with first-class trading tech and superior customer service. They have created a variety of trading platforms (including MetaTrader 4, cTrader and WebTrader) which are available as apps for tablets and smartphones on iOS and Android. Rounded are a web and mobile app helping Aussie freelancers and sole traders to better operate their businesses. The app offers invoicing, time and expense tracking services, and helps to gather everything a user needs at tax time. Rounded is so far the only Australian accounting app to specifically target freelancer, sole trader and gig economy workers, a group whose numbers are increasing significantly with the current trend towards work flexibility. Their solution is an elegantly designed, simple to use and affordable app that gives its users all they need to run their business while skipping all the unnecessary features. The app is available on desktop, tablet, Android and iOS. myprosperity services accountants and advisors through their online software solution. Their technology transforms the way advisers and accountants work with their customers. Pulling financial data into one location through the use of live feeds in property, bank accounts, shares and super, myprosperity’s software helps firms to save both time and money. Furthermore, their platform gives clients access to valuable practice analytics, report creation and lead generation. Launched 2013, myprosperity has so far raised $2.5 million, and are continuing to grow headcount in their Melbourne Hawthorn HQ where there are a handful of roles available. Check them out here. iSignthis is an international leader in dynamic, digital AML/CFT KYC identity proofing and payment services. Their patented ‘Paydentity’ service gathers real-time information from a single platform to identify any person verified by a regulated financial institution. Their unique solution works to protect online customers and cardholders from fraud and protects merchants against chargebacks. Launched in 2014 and successfully floated on the ASX and Frankfurt Stock Exchange, iSignthis also provides merchant card services. Square started in San Francisco in 2009 with nothing more than a little white credit card reader. From there, their solutions have blossomed to empower independent operators to send invoices, set up delivery options, pay employees and get access to capital. 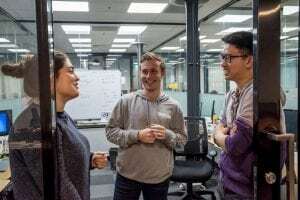 Square opened their Australian headquarters in the Melbourne CBD in 2015, led by Australian Manager Ben Pfisterer, with the goal to enable sellers of all sizes to start, run and grow their business. Today Square has offices in San Francisco, Melbourne, New York, London, Atlanta, Toronto, St. Louis, Dublin, Kitchener-Waterloo and Tokyo. Stripe is a suite of tools which enables its users to build and run internet businesses. The solution allows Australian businesses to instantly start accepting payments from anywhere in the world, using nothing more than a bank account number. 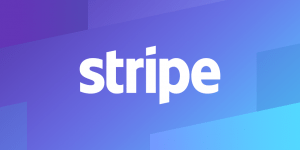 Stripe expanded into the Fintech Australia scene in 2014 as part of their mission to make it easier for users to accept payments no matter where they are. Soon after landing they attracted notable Australian clients including the likes of Canva, LIFX, Sitepoint, BlueChilli and Flightfox. littlepay has developed micropayment processing services, backed by an international investment organisation with an extensive history of investing in and developing payment innovations. The company helps authorities, operators, and service providers in the transport sector to receive open payments in a manner that is fast, simple and safe, thanks to cloud-based bank-grade infrastructure. 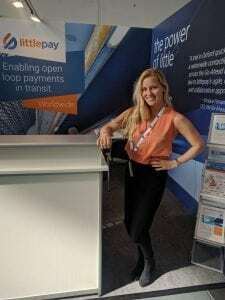 Two of the UK’s key transport operators have already adopted a contactless payment solution with littlepay, which allows their travellers to use either their payment cards, wearable devices or mobile wallet to pay for their travel. littlepay’s solution is a versatile open-loop payment platform that is adaptable and can be utilised across a range of industry applications. Stone & Chalk is an independent fintech startup authority with more than 454 entrepreneurs working in over 109 full-time startups, 13 of which have been exported internationally. They are a community for innovation programs, advocacy and partnerships, and are acknowledged as one of the top fintech innovation hubs globally. 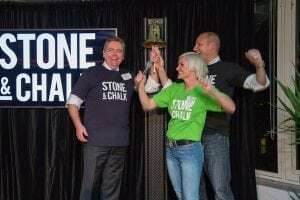 Stone & Chalk actually started out of Sydney, but shortly after expanding south to Melbourne the Victorian Government announced a partnership with the hub, to help grow the state’s flourishing fintech sector. So far their startups and scaleups have successfully raised more than $235 million of direct equity investment and 500 new jobs have been created. Moula has created a platform to quickly analyse business data in order to make it easier to borrow money, and approve and fund loans, giving users access to funds within just 24 hours. Moula’s platform offers a transparency, with no extra charges or hidden fees. Launched in 2013, the team have so far raised more than $30 million and are number one on Trustpilot in the non-bank finance category. Assembly Payments is one of the fastest growing companies in the fintech Australia scene. They afford flexible payment solutions to their clients which enable marketplaces, platforms and banks to produce exceptional digital payment experiences. Established in 2013, Assembly Payments works with the likes of Carsales, AirTasker, Gumtree South Africa, hipages and GEO. So far they have raised US$30 million and grown their team to more than 100 employees. In just the last two years their headcount has increased by 273 per cent. MYOB create accounting, payroll and client management solutions for businesses across Australia and New Zealand. Designed to simplify a business’s internal processes, MYOB is now working to take a historically paper-driven industry online and into the cloud. They have added a full suite of online accounting solutions to their desktop offering to facilitate this. MYOB software and services are used by more than one million businesses . They help SMEs adapt to accelerated market changes brought on by technology, and assist them in moving online while remaining agile and profitable. MYOB have a heap of job opportunities available across the country. Take a look here. Airwallex has reinvented cross-border payments. Through their integrated solutions, Airwallex facilitates international money transfers. This is done with a mixture of payment collection, local payment distribution channels and foreign exchange. Leveraging FX technology, Airwallex can facilitate thousands of transactions per second. They offer a cost-effective substitute to pre-existing payment networks and are ideal for organisations wishing to automate and enhance their international payment workflows. This year at the 2018 Finnies Airwallex took out not one but two awards; co-founder Lucy Liu won Female FinTech Leader of the Year, and the company took the top spot for Excellence in Payments. Want to work for the Female FinTech Leader of the Year? Good news, Airwallex is on the hunt for a Senior Java Developer. Verrency is an innovator for financial institutions. Their platform joins banks to a burgeoning marketplace of payment innovations; this includes a variety of third-party fintech solutions, as well as pre-built Verrency services which can be white labelled. Founded by David Link in 2016, Verrency works with banks, card issuers and payment processors – many of the world’s largest – to offer their innovative platform to the finance industry. 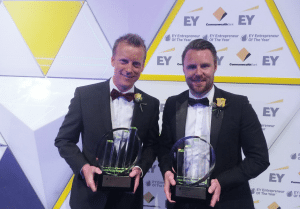 To date they have raised $7.6 million, have grown to hold real-estate in Australia, Singapore, the USA and the UK, and recently won Excellence in Establishing Market Presence: Global at the 2018 Finnies. Verrency currently have a number of open opportunities, particularly within their tech team. You can browse them here. VendorPanel is a procurement tech company bringing simplicity and innovation to procurement. They deliver this through the development and support of practical enterprise technologies. Launched in 2010, VendorPanel works with both private and public organisations to help simplify their procurement, reduce risk, and improve cost savings. 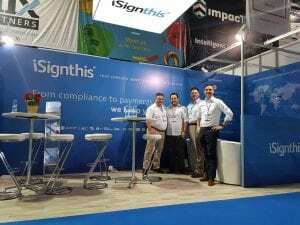 The company is a multi-award winner, this year alone taking home The Most Innovative Use of Technology in Procurement from CIPSA, and Excellence in RegTech (Finalist) at the 2018 Finnies. VendorPanel are currently looking for a Sydney based BDM. Medipass is a payment solution for the healthcare industry. They offer a simple and transparent solution that assesses payer benefits at the appointment booking or service quotation stage. Medipass helps to minimise patient out of pocket expense and nuisance by processing benefit claims and gap payments from the start. Launched in 2015, Medipass is today partnered with some of Australia’s leading organisations for allied health benefits claiming. This provides customers with access to more practitioners and a higher number of health funds than any competing service. Medipass are currently hiring for engineers, and you can browse all of their open jobs here. It’s fair to say that fintech in Melbourne is exploding. The city’s entire tech sector is experiencing serious growth, in fact, so there’s never been a better time to be a Melbourne-based tech professional than right now. Check out our jobs board to see who’s hiring in the Aussie tech industry. What's the State of Women in Tech in Australia?